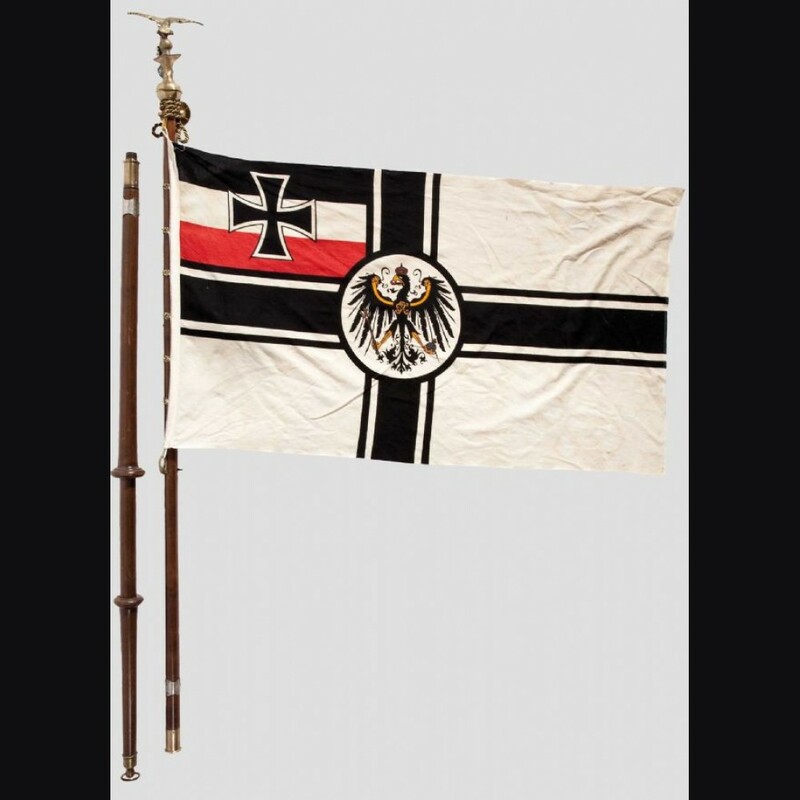 If you like nice flags for display, this one is really nice and a piece I purchased for myself. It is a complete traditions flag on original 2 piece pole with all. Piece is pretty much self explanatory and additional photos are available on request. Description as originally offered is below. 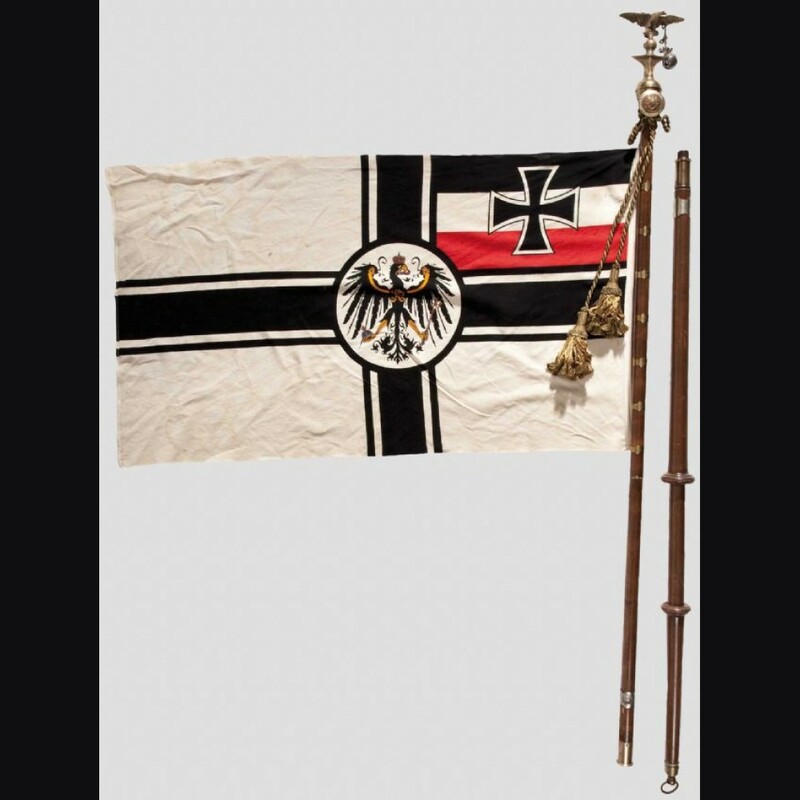 "Royal Reich war flag, 70 x 130 cm, with brass finial ("top/headpiece") with ascending flying eagle and ringing bells, downward-hanging silver-blue tassels, royal Bavarian coat of arms with inscription "2nd Infantry Regiment Crown Prince," the two-part flag pole with (tassels with inscription), "We fight for all that we love," two further tassels with Reich Eagle and inscription, "1st Division - 2nd Infantry Brigade - Munich." Total length 334 cm. The Infantry Regiment Crown Prince belonged to the 2nd Royal Bavarian Infantry Brigade"